The Leadership Circle is a group of individuals dedicated to the empowerment of women and their families. The support of the Circle ensures the continuation of key YWCA programming and services that focus on women and their families. By funding the up-front costs such as printing, publicity and speakers’ fees, Circle members ensure that the YWCA can focus on preparing for our most important fundraising event of the year. 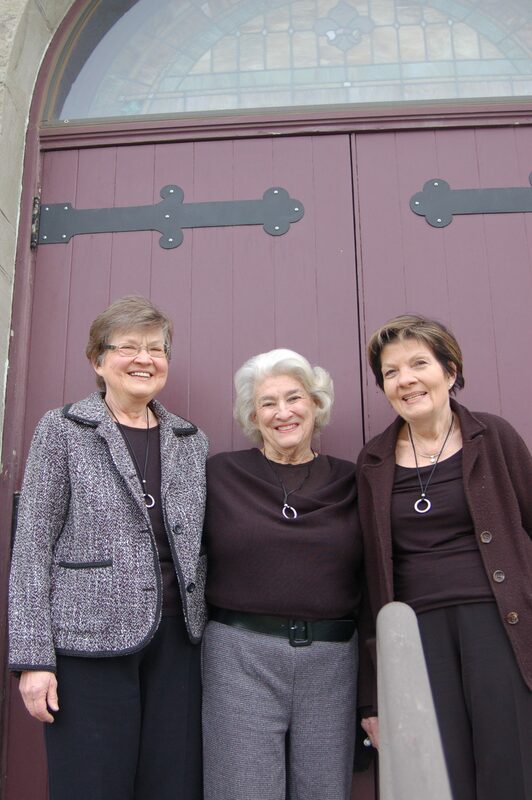 The Circle was founded in 2001 after the first Leadership Luncheon by Luncheon co-founders Rozanne Van Ausdle, Peggy Sanderson, and Virginia McKibben, pictured above, from left, in order to secure the funds to continue the Leadership Luncheon (where we present the annual YWCA Leader of Distinction award) and offer inspirational speakers to the Walla Walla community for years to come. Individual members of the Leadership Circle agree to donate $250 per year for a total of five years. Your membership is renewable at the end of each five-year period, of course! Membership fees may be paid monthly, in a one-time payment or an annual installment. It’s important that your payment method works for you. If you are interested in joining the Circle, please call the YWCA at (509) 525-2570. If you are interested in joining the Leadership Circle, please call the YWCA at (509) 525-2570.